A collage journal recording my Australian experiences and observations. 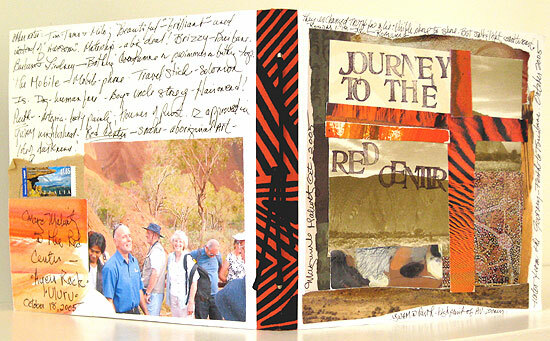 The collages were designed with pictures and papers collected on the trip. In the photo on back cover I am standing at the base of Ayers Rock, Australia's "Red Center".